A second year med student was experiencing episodes of extreme anxiety when taking exams and had concerns about failing the semester. A customised psychotherapy process was established to intervene and break this cycle. Through hypnotic relaxation, breathing techniques, neuro-linguistic programming, and providing her with a clear understanding of her learning style, she learnt to conquer her anxiety. She claims the process was life-changing and helped her to know herself better. She is now anxiety-free and performing well in her exams. Not only has her academic life improved, but also her relationship with her parents and her boyfriend, who are no longer suffering the negative impact of her past anxiety. A 14 year-old girl from a well-reputed school in Bogotá was very anxious and had suffered bullying from her peers. 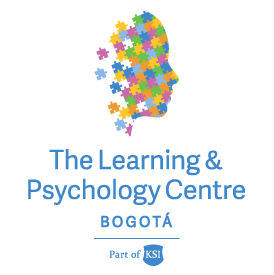 Through her psychotherapy process at LPC, she rebuilt her self-confidence and acquired the right social abilities to manage her anxiety. Through role-playing and hypnotic relaxation, she became a new person, was able to enjoy making new friends in school, embrace her newly discovered self, and show the world that she was a brave and valuable person. It took only four sessions to reduce her anxiety and recover the light she had lost.